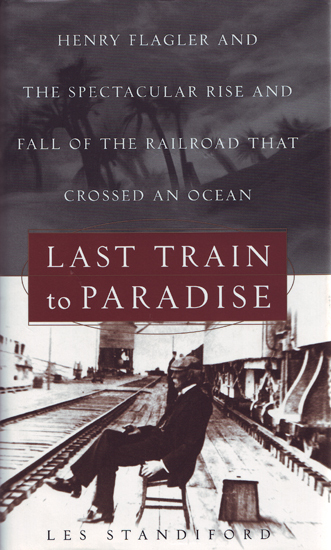 Last Train to Paradise is acclaimed South Florida novelist Les Standiford’s fast-paced and gripping true account of the extraordinary construction and spectacular demise of the Key West extension of Henry Flagler’s Florida East Coast Railway. Illustrated with images from the Flagler Museum’s archives, this well-researched treatise celebrates a crowning achievement of Gilded Age ambition. Softcover, 281 pg.